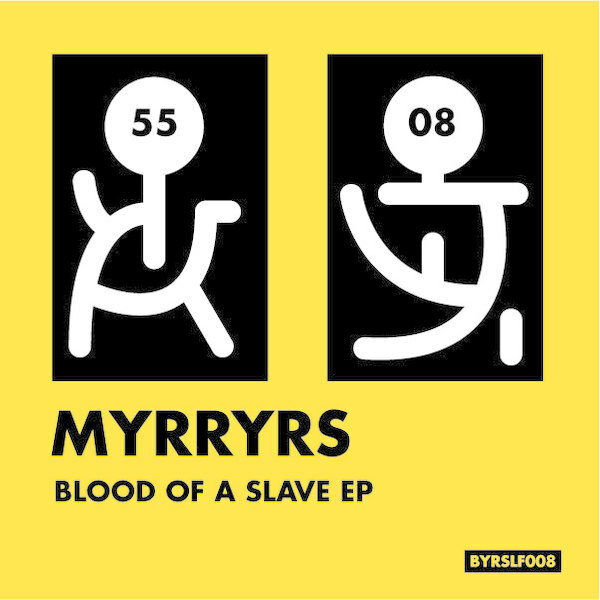 Third single outing for Nashville's Myrryrs, chopping out a neat line in snapping, 808-driven FutuR'n'Boogie electronics. 'Burn & Turn It Up' works an ear-worming piano hook into fluttering arpeggios and martial 808 funk, while there's more a slowed electro Footwork slip to 'Blood Of A Slave' and some straight up synthetic romance on 'Paradis Parka'. With his remix Cedaa takes 'Blood…' on a rolling, raving 808 House tip, and Obey City sprinkle it with some mid '80s Hollywood synth sheen.